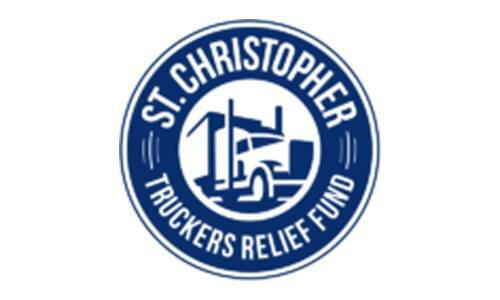 KNOXVILLE, Tenn. – Aug. 29, 2018 – Over the weekend, nonprofit St. Christopher Truckers Development and Relief Fund (SCF) received $16,038 from the Great American Trucking Show’s annual auction and concert in the TA Petro parking area. Shortly after, Heartland Express, a best-in-class transportation and logistics organization, matched the donation for a total of $32,076 to help SCF support over-the-road/regional semi-truck drivers and families in need. According to event organizers, the amount raised by the GATS event, which included both silent and live auctions, was a record. It originally totaled $15,755, but an additional $283 was raised through games and activities at the SCF booth. SCF corporate sponsors TravelCenters of America, Blue Tiger USA, RoadPro, 4 State Trucks and others provided auction items along with donations and creations from drivers. Auction items with the highest bid included a Truckin’ Bozo commemorative issue diecast truck ($1,100), a Jasmine brand guitar autographed by the Bellamy Brothers ($3,100) and a can of beer with a Heniff koozie ($900). The event was primarily organized and executed by drivers, which included Scott Wagner and Melanie Walker of Rapid Response and Bruce and Debbie Richard with Heartland Express. Truckers needing assistance from SCF may apply by clicking here. To donate to SCF’s mission to support truckers and their families in financial need, click here.